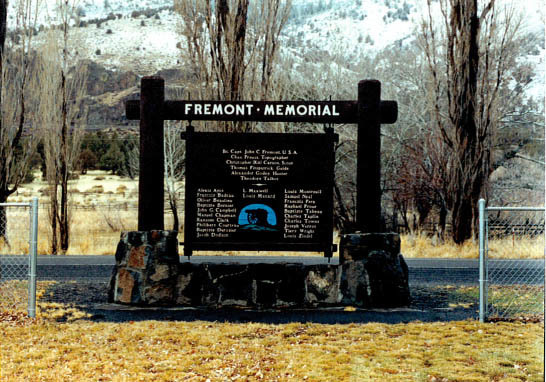 Subject: A memorial to the 1843-44 John Fremont expedition to Oregon and California. 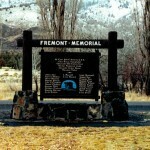 A MEMORIAL TO THE PERSONNEL OF THE SECOND FREMONT EXPLORING EXPEDITION TO OREGON AND NORTH CALIFORNIA. The reports of this expedition directed the migration of the Western Settlement toward the Oregon Country which hitherto had been merely a rendezvous for trappers. On December 16th, 1843 the expedition while enroute from The Dalles of the Columbia to Sutters Fort on the Sacramento, struggled from the snowy heights of ‘Winter Ridge’ to the temperate shores of Summer Lake via the canyon directly west of this spot and bestowed those names which serve as a permanent reminder of their escape from the snow-bound plateau.